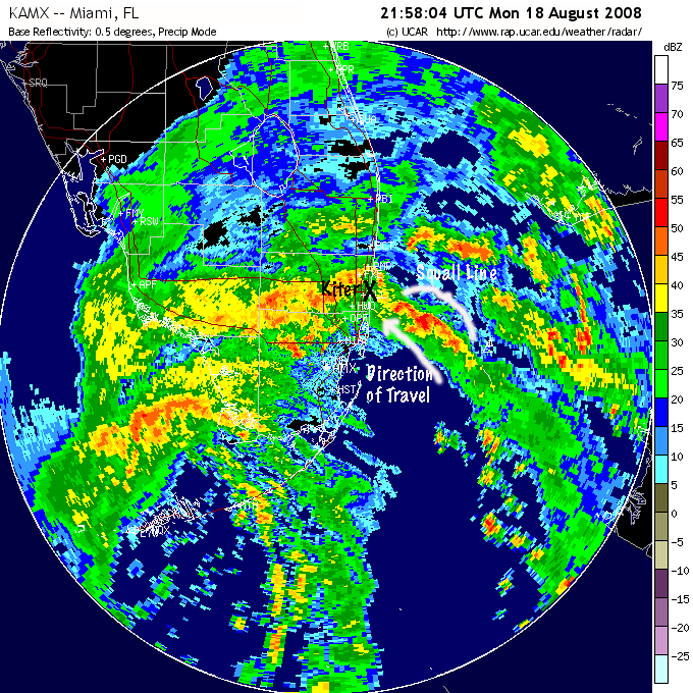 Tropical Storm Fay on August 18, 2008 as it slowly moved on to Florida. History can repeat itself, particularly when we help it along by ignoring painful lessons of the past. There have been numerous kiteboarders lofted worldwide in squalls over the years to support this sad conclusion. It does look like more kiters are aware of this threat and take it more seriously these days on the positive side of things. Still, some guys don't seem to have gotten word that a fun session can descend into Hell in very short order, if you set yourself up for it by ignoring good practice and common sense. 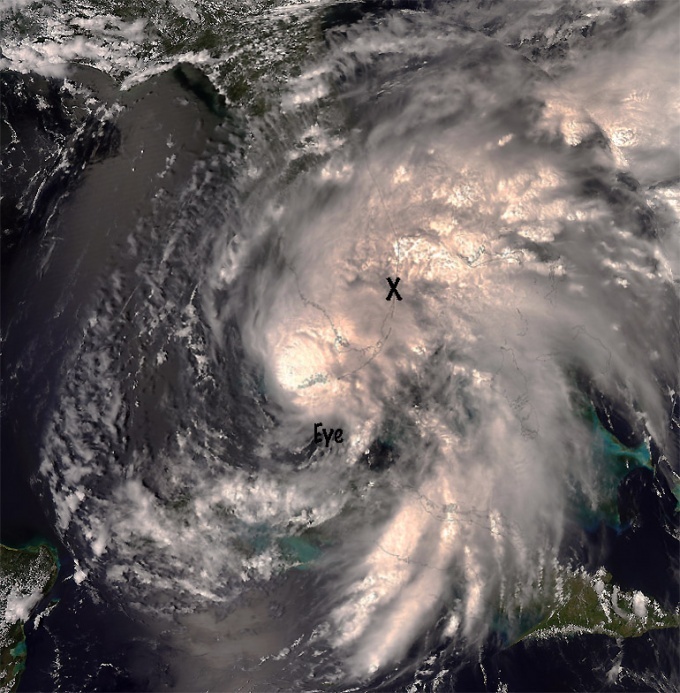 So, let's take a quick look at Tropical Storm Fay which creeped over Florida for a seven day period from August 18–24, 2008. During this time eleven people died and thousands of homes, numerous buildings and roads were damaged. Winds were recorded up to 60 mph, higher in tornados with up to 25 inches of rain in areas and flood waters up to 5 ft. deep. How many will forget these images from the news video that flashed around the world? People worldwide concluded we, kiters collectively, were twits with a death wish. This may not have bothered you but it bothered the hell out of me. Avoidable accidents are just that. Violent squalls were obvious on the radar and in the sky. They were moving very fast, with very small, too small, holes between squalls to allow reasonably safe kiting. Guys were out anyway, not all were hurt. Only two that I heard about, one broke his neck and the other could have easily been killed as well but was merely severely mutilated by multiple impacts against a bunch of stuff. Here is a TV segment which provided an video overview of things, interviews, accident footage, etc. at that time. It is worth reading over to hang on to some of the hard won nuggets of knowledge to help preserve the fun and keep the ER at bay. Another kiteboarder broke his neck when he was lofted around the same time, in the same squall line about 30 miles south. Getting lined up in the sights.